It is our firm’s mission to provide high quality legal services in our fields of expertise, to keep pace with and to anticipate the needs of those existing and potential business and individual clients we serve in the Midwest, in a manner that adheres to the highest standards of excellence and integrity, in a timely manner, and at fees that our clients are willing and able to pay and that are fair to our firm. For over 15 years, Jason Laughlin has reliably represented clients in all proceedings and transactions dealing with residential and commercial real estate property including, but not limited to: purchase and sale, construction, land development, mortgages and foreclosures, leases, land use and zoning, title examinations, title clearance, quiet title actions, closings, landlord/tenant disputes, and management. He’s accessible, experienced, efficient and affordable. On a daily basis and in a professional manner, he assists buyers, sellers, agents and lenders with all facets of real estate transactions. He also engages with an experienced and pleasant team of support professionals ensuring that residential and commercial real estate clients receive a prompt response to all inquiries and accurate and efficient production of documents. *Title Commitments for purchases are issued within 24 hours of abstract receipt. *Title Commitments for refinances are issued within 72 hours of title order (Form 900 search time included). *A preliminary CD accompanies Commitment issuance. Jason Laughlin is the managing member of Laughlin Law Firm, PLC, an Iowa general practice law firm whose practice includes, but is not limited to, real property and corporate law. Jason is the founding member of Laughlin Law Firm, PLC. After receiving his juris doctorate from Drake University in 2001, Jason began the practice of law in Chicago, representing primarily Fortune 500 companies in business litigation. 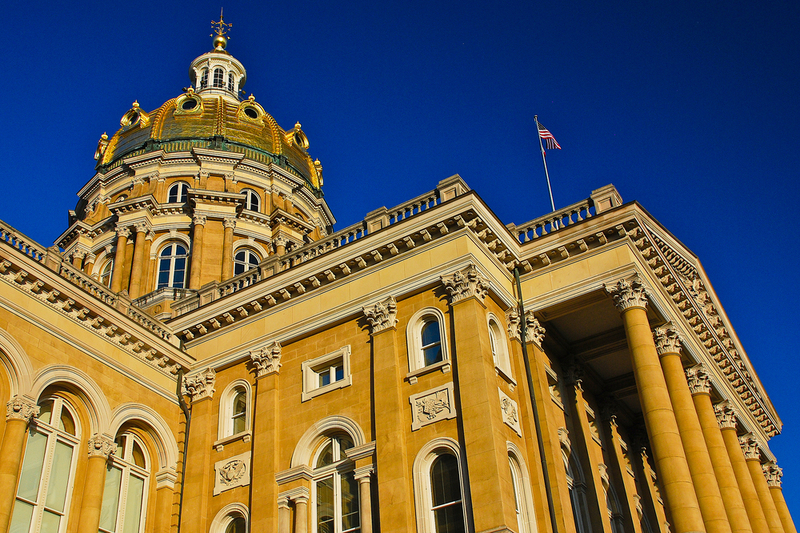 When an opportunity arose to begin his own law practice, he returned to Iowa, developing a practice primarily in business and real estate transaction law. Since that time, his clients have spanned the spectrum from prospective owners of single-family residential real property to multi-million dollar corporate entities. Over the course of a 17-year career, he's taken great pleasure in mentoring small business clients in their first corporate endeavors, while adeptly walking sophisticated real estate syndication clients through complicated securities laws. Local and national lenders, commercial and residential real property investors, marketing executives, non-profit boards and restauranteurs are just a small representative sample of Jason's client base. Jason is also a small-business owner, relishing his ever-changing roles as company executive, mentor to young professionals, and "do everything" team player. He also remains active civically as a member of numerous civic and philanthropic organizations, most notably as a member of the board of directors for both the Iowa Commercial Real Estate Association and Waterbury Neighborhood Association. When not navigating legal, business, and civic responsibilities, he's generally found cycling or running all over central Iowa. As an accomplished cycling racer and marathoner, he recently ran four marathons in four states during a brief six-week stretch. He's also a fine wine and cuisine enthusiast, traveling frequently to unique restaurant destinations and thoroughly enjoying all the great cuisine Des Moines has to offer (after an intense workout, of course). He loves kicking back at a Cardinals game (or the I-Cubs), and tailgating at Hawkeye games in Iowa City. If there are constants in any of these endeavors, it's passion for activity and relationships, coupled with a ton of curiosity. Barb has over 15 years of office and paralegal experience, including an Associate of Applied Science in Paralegal Studies degree from Kaplan University. Barb has extensive real property law experience, as well as experience in customer service and office management. Barb has been a skilled and hard-working asset to Laughlin Law Firm since joining its ranks shortly after the Firm's formation. 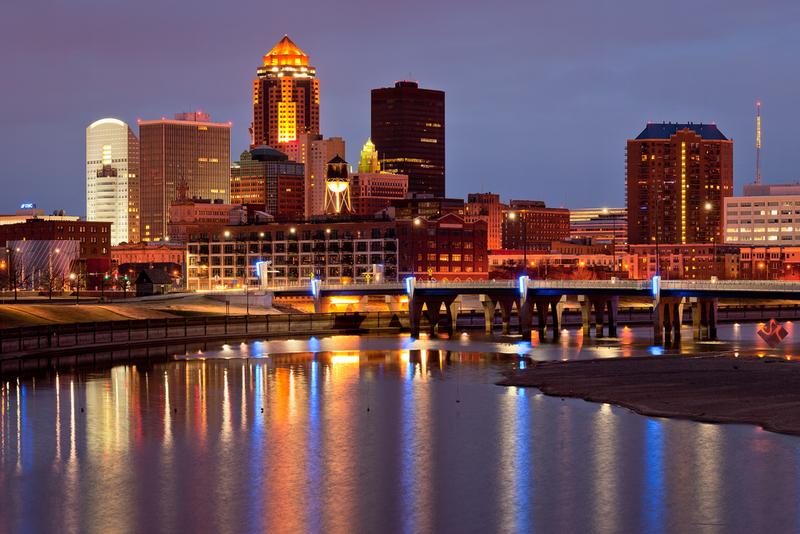 Born in Des Moines and raised in Adel, Iowa, Barb cares deeply for this community and its citizens. We are very proud to have someone of her character and skill on our team. Barb can be reached at barb@laughlinlawfirm.com or at (515) 608-4797.